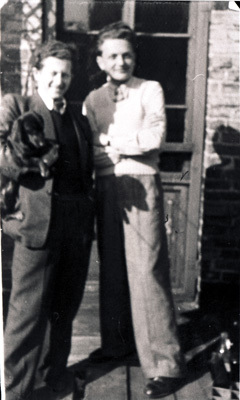 Harry Blass and his friend, Samuel, around the first time that he met Erika. From left to right: Samuel, Harry Blass; Grevesmuehlen, East Germany, ca. 1946.